Global warming has been a globally recognized issue for the past ten years. Governments, corporations, and individuals around the world are working actively to limit greenhouse gas emissions. One of the main approaches to limiting it is the emissions trading system that places value on greenhouse gas emissions. In order to run a successful trading scheme, an electronic registry which manages emission allowances in a secure and efficient way is essential. RScube+™ provides such a system. 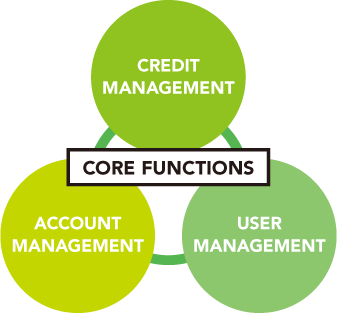 RScube+™ implements the three core functions of the registry shown in the figure. Users can manage their own emission allowances safely and easily. 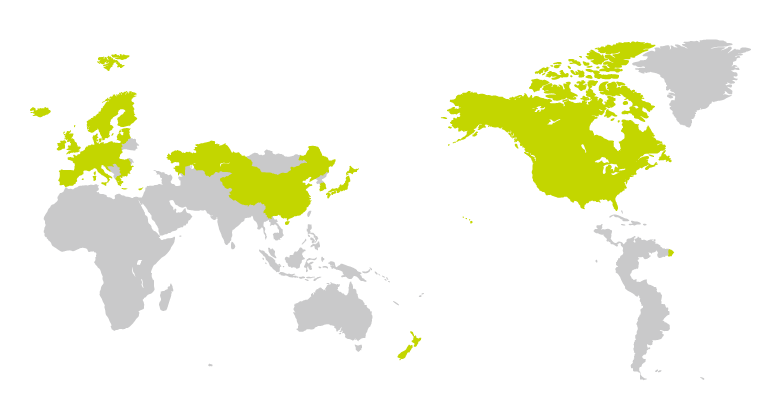 We have considerable experience in the development and operation of many emissions registries in Japan. We also have a lot of knowledge regarding registries and emissions trading schemes. You can save time through RScube+™ rather than developing a system from scratch. We provide consultation and offer the best solution in accordance with characteristics of each emissions trading scheme. We provide program updates as necessary. We can answer questions regarding the installation and usage of RScube+™.